Whether someone at Louisiana State University Shreveport will be a match for someone in need of a bone marrow donor is unknown. “I am very proud of the fact that more people are aware of this international issue, and my fellow senators of the Student Government Association thought it important enough to raise awareness of this issue and increase the pool of potential donors,” said Jarrett “Prince” Lofton, Vice-President of the SGA. “We are proud to serve the community outside of the classroom.” This is what, Lofton stated when asked what inspired the SGA to host a Bone Marrow Drive. Every Monday the SGA, at LSUS, meets at 11:00 a.m. at the Webster room in the University Center. Typically, the SGA discusses issues that have been brought to them by fellow classmates and they consider policy changes that can improve student life on campus. But, amid those obligations, SGA has been deciding how they can have a community impact. With that question brewing, they received an email from Amy Roseman, United States Central Donor Recruitment coordinator for Dynamic Kernel Module Support. DKMS is an international non-profit organization that has tasked itself with finding donors to help save the lives of those plighted with blood cancer and other blood illnesses. It is a sad fact, that every three minutes in the U.S. someone is diagnosed with blood cancer. A more sobering fact, is the 5-year survival rates of some specific blood cancers, namely Acute Myeloid Leukemia, is 26%. These are the stats that have spurred the SGA to action. “This just seemed like [the] perfect opportunity for us to make a contribution,” said Jonah Harrington, President of the SGA at LSUS. 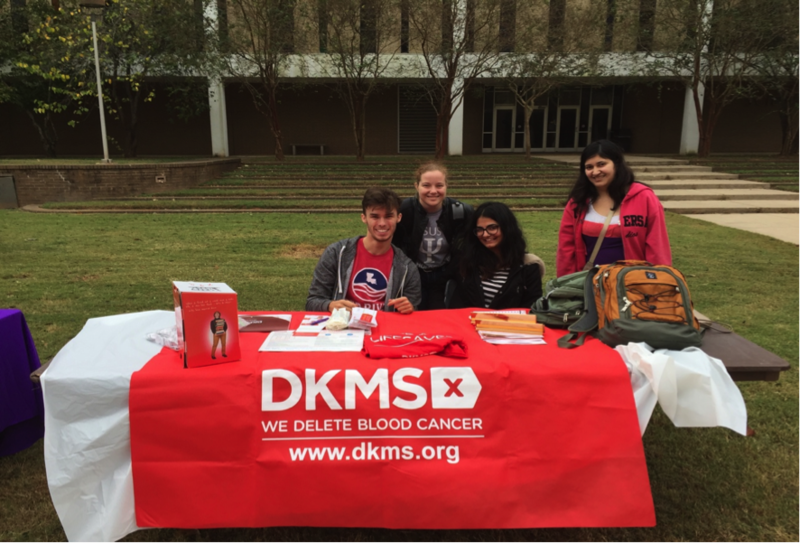 “It was easy, DKMS gave us all the materials and supplies we needed, and all we had to do was tell our classmates to swab and smile.” The potential donors read the requirements for eligibility and the health issues that would prevent them from being a donor. Those who decided to participate signed a registration.